Men who suffer from erectile dysfunction often use the internet to shop around for the most suitable medication for them. Unfortunately, a lot of these men fall victim to illegally advertised ‘generic Viagra’. Pfizer owns the patent on sildenafil citrate (the active ingredient in Viagra), and will own it until 2019 thanks to the ruling of a U.S district judge in 2011. This ultimately means there is no such thing as a generic Viagra. 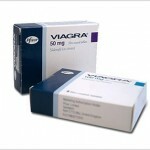 The only Viagra on the market should be the Pfizer-manufactured diamond blue-coloured tablets.
. The price is a lot cheaper than Viagra, sometimes by as much as 70%.
. The drug is sold as a pill, but appears to differ from Viagra in colour or shape.
. Extended delivery times, occasionally up to three weeks. This is due to the drug being imported from a foreign country before it gets to you.
. The phony website lists ‘generic Viagra’ or ‘generic sildenafil citrate’.
. The website does not list any contact details, e.g. a telephone/fax number, company address, pharmacists, doctors, etc.
. A registered Pharmacy such as Medical Specialists Pharmacy, will have the GPhC green cross logo together with its Pharmacy number. This number can be checked to see if it does actually exist.
. The company registration and VAT number should both be clearly stated on the website. Both of these are a legal requirement. Researchers at the University of California conducted a study in cooperation with Pfizer, whereby they managed to obtain ‘Viagra’ from 26 websites during a four day period in March 2011. Prices for the pills ranged from anywhere between $3.28 all the way to $33. 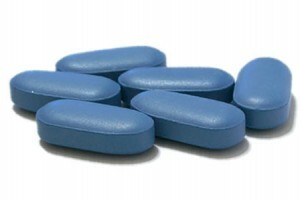 Study author Dr Irwin Goldstein discovered that 90% of the non-prescription ‘Viagra’ pills were fake. Further tests uncovered ingredients such as rat poison, paint and a compound that is used in cement. Dr Goldstein noted that although sometimes the counterfeit drugs look convincingly authentic, the drugs are usually manufactured in construction sites, filthy warehouses and basements. We can assure you of security, confidentiality and peace of mind at Medical Specialists Pharmacy. Established in 1994 and becoming the UK’s first legal online clinic in 2001, we are a fully Registered Pharmacy and the first One Stop Online Pharmacy & Doctors. We provide our patients with genuine branded erectile dysfunction medication only, available with or without a prescription. Prices start from as little as £29.97 for 4 Viagra tablets. We also offer Cialis and Levitra at great prices too. 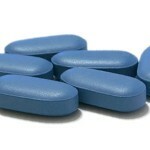 July 9, 2012 -- Police seize almost $2 million worth of fake Viagra and cigarettes in the U.S. This entry was posted in Cialis, General Health News, Levitra, Men's Health, Viagra and tagged buy viagra, counterfeit drugs, counterfeit viagra, erectile dysfunction, fake drugs, generic viagra, viagra online, viagra uk. Bookmark the permalink.